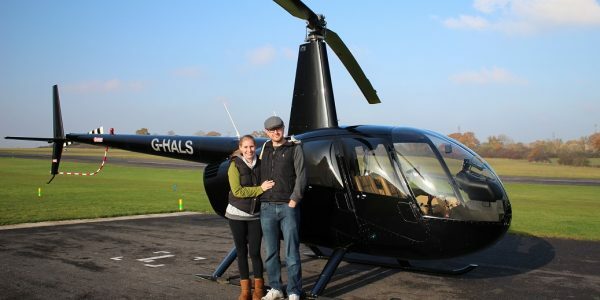 A fabulous flight for up to 3 people in a shared Robinson R44. a Forever Rose and FREE Crew Cam photos. 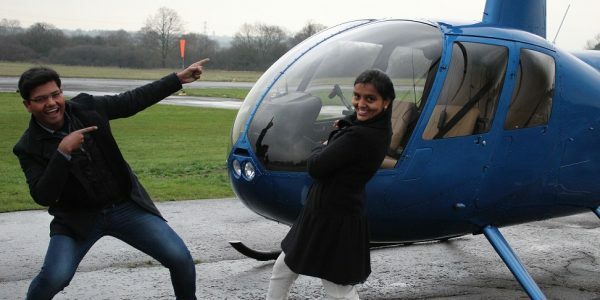 An opportunity for one to take the controls and see how exhilarating it is to fly! The experience begins with a group briefing, before being taken through the protocol for the dual controls of the helicopter. As we don’t have the luxury of auto-pilot it must be clear who has control at all times. 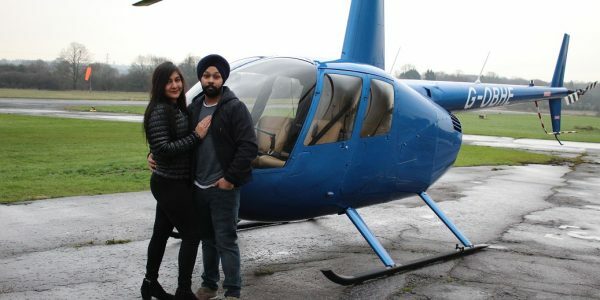 A member of our ground handling team will take you to the aircraft and after a photo opportunity, you will meet your instructor and take your seats in the helicopter. After final checks, you will experience the incredible feeling of vertical take-off and the euphoric sense of freedom as you see the landscape from a 360˚ viewpoint. 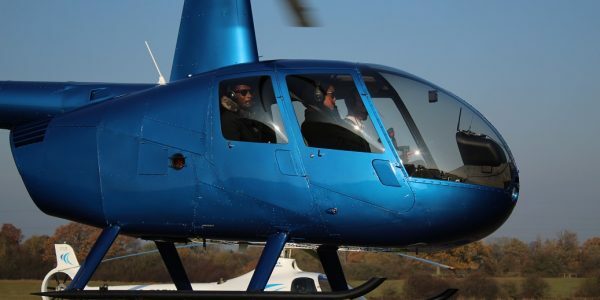 Whilst you familiarise yourself with the new sensations of helicopter flight, your instructor will introduce you to the geography of the aerodrome and local area and at an appropriate point, the person sat in the front of the helicopter will take the controls and FLY! After the flight you will receive your Certificate of Achievement, your bubbly and chocolates and your free gifts. These are a great keepsake to show off to your friends and family with your flying skills and relive the moment again and again! During your visit please enjoy our flying school facilities; browse some of our modern art or play our pinball machine. We have a few toys to keep little ones amused and there is a cafe located at the Aerodrome should you need a snack. Sign up to The Pig's Tale for our news, tips and offers. We promise not to overload your trough! Are you destined to be a pilot? Do you have a March, April, May birthday? Spring babies are born to fly!